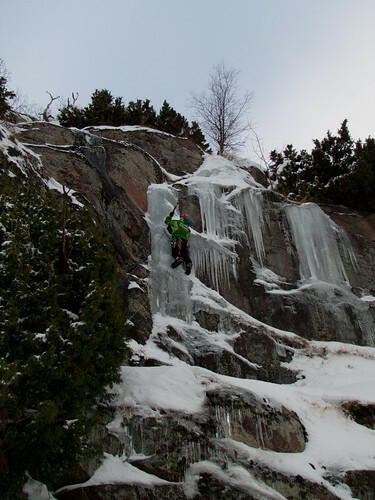 The only place in Denmark where it is possible to climb ice is on the island of Bornholm in the Baltic sea. 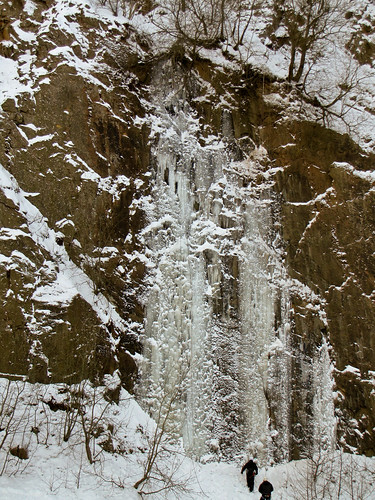 Conditions are not reliable and it has been many years since it was possible to climb ice here. The winter of 2010 is the exception, there is solid ice all across the island. I made a day trip to the island on the 17th of February and I had a great day climbing with my friend Kim who lives in this isolated region of Denmark. 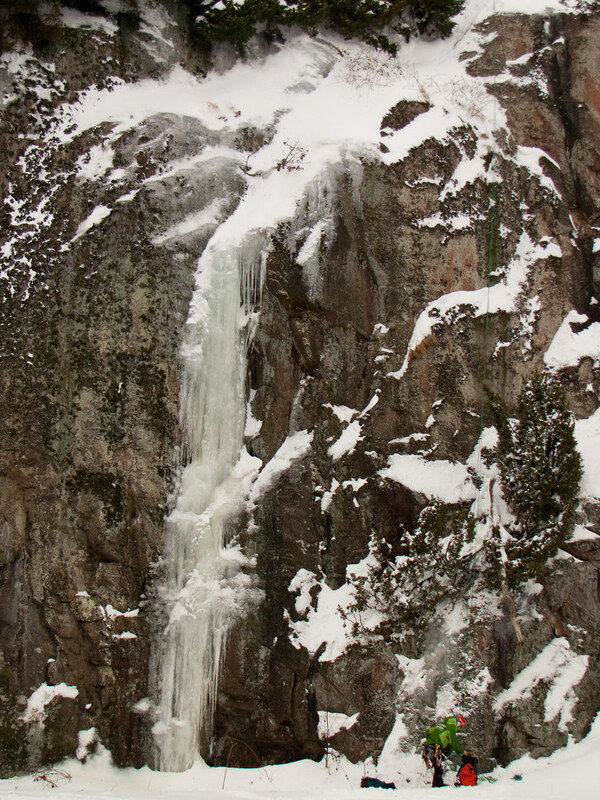 We explored several ice falls in the centre of the island. Many of these climbs where probably first ascents, and in any case there is no recorded knowledge of previous lead ascents. This is quite understandable since ice climbing is a rather rare activity here. The ice formations are fantastic, and there is plenty of lines left to be done. I will have to go there again before the winter ends. 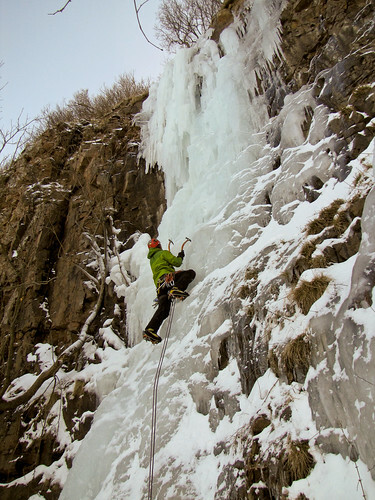 This year has been a fantastic year for ice climbing in southern Sweden.? We have not seen conditions like this for more than 10 years. 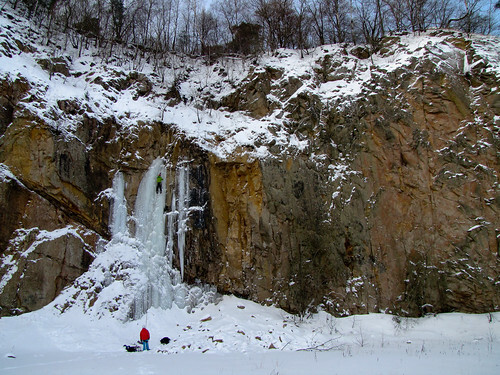 Skåne is not really a big ice climbing destination, but when conditions are good it’s great to go ice climbing on day trips from Copenhagen. Usually we go to Norway or the Alps, but that is hardly a day-trip thing. Closer to Båstad there is an old quarry with some really good climbs that rarely forms. But this year they are in perfect conditions. These climbs are not often done, so it feels like a big privilege to go climbing here. Winter in Denmark and southern Sweden is normally a grey slushy thing, so it’s really spectacular when we got a long spell of cold weather.? I do hope it will last for a while!